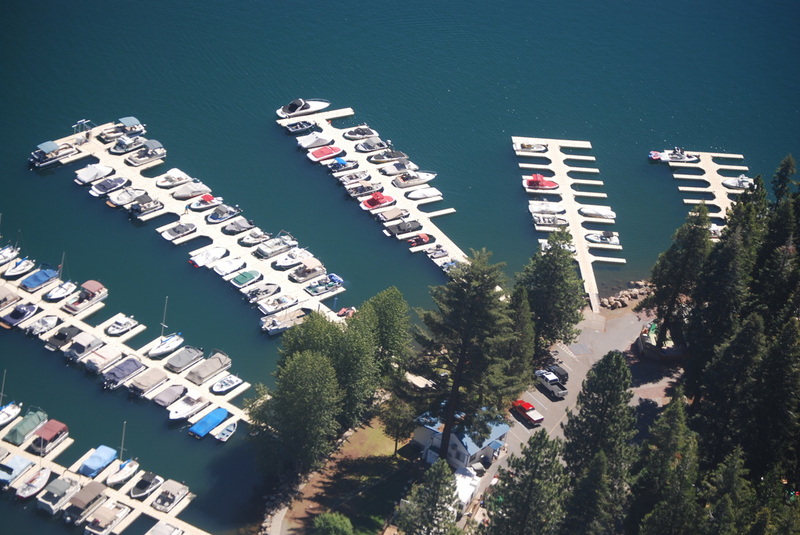 Big Cove Resort and Marina has a 12-foot deep water launching ramp to provide easy access to and from Lake Almanor. You will find convenient parking for your boat trailer in our upper lot. Our EZ docks docking facilities are the most modern on the lake and are available for the duration of your stay or for the season. In addition, Big Cove now offers gas and oil on our dock and at our store. Gas grade is Premium, 91 octane.The gas dock has ability to self serve. Accepts Visa, MasterCard, or can pay cash in the office. We have 3 fishing boat rentals: Two 2 person Klamath boats and one 5 person Bay Runner fishing boat. We also have two 15 person capacity Bennington PonToon boats with 150 HP boats as well. Click here for more boating photos.